After each march, rally, or inspirational moment of gathering, many of us will have a moment of wondering “What now?” After the Women’s March last weekend, the work to support gender equality does not stop and it must continue to evolve. If you don’t know where to start, a great place is by listening to those in your life and beyond about what they need without being presumptive. Take active steps to reach out to those in your life who are vulnerable and be a source of open-ended support. This means being a shoulder to cry on, someone to hear their thoughts, or to take off some burden. Offering to help in day to day tasks or larger ones may not immediately come to mind but can go a long way. Seek resources that open your mind and ability to connect with communities that are out of your immediate circle. Small changes can help with your day to day information intake. Consider following groups on your social media and populate your feeds with new perspectives such as great ones from Art+Feminism, Black Women’s Blueprint, and Body Politic. In a more active way, attend talks and meetings as a way to learn about community needs like those at a local LGBTQ Community Center. Related, if you see a space that needs unity, be a part of creating it. Even small scale community building can be empowering for those involved. If you’re interested in finding affinity groups that address your intersectional identities meetup is a great tool for locating groups in proximity. Speaking of space, think literally: If you are a part of a company that has a conference room or extra space to rent, consider offering free or reduced rates to local organizations for their meetups and gatherings. In your day to day, take notice of inclusivity in the spaces you’re in. Whether it’s in your work or social settings, be mindful of the barriers of entry and participation of those around you. If you notice obstacles, and feel able to do so, speak up and be a part of amending the issue. Here is a guide to emphasizing LGBTQ rights in the workplace for yourself or as an ally. You can also check out GLAAD's tips for allies of transgender people. Support LGBTQ cultural events and artists through showing up. Stay informed about cultural events in your area and try to attend when feasible. Visibility and attendance at events is crucial for supporting self-funded queer creators. Timeout provides a comprehensive list of queer oriented performances in many cities. If it's not possible to come in person, participate by listening to and promoting queer self-funded creators online through podcasts, web-series, and other forms. Space is a huge commodity, especially in cities. If you have the ability and means, create spaces within your home that are safe and a place for sharing. Gather with members of your communities to talk about issues or not talk (just eat, love, support). If you do not, support the work of places that do with your attendance and financial support if possible such as May Day Space, New Womens Space, and Justice Center en El Barrio all of which provide free and low cost intersectionally-focused events, many centering on queer communities. 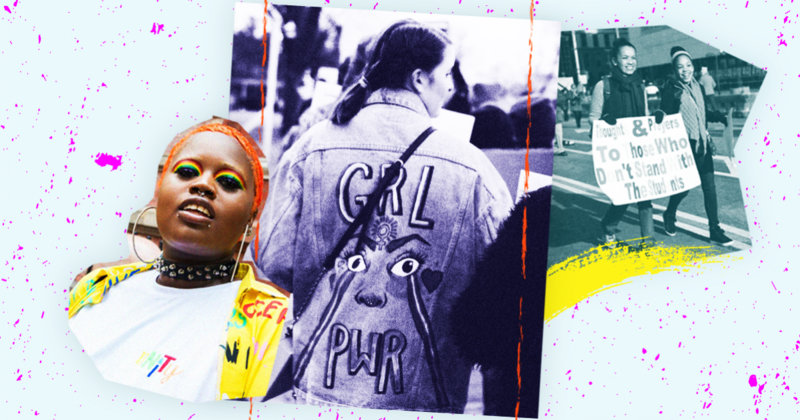 After the 2018 election, the power of grassroots movements and women and femme identifying people was seen by the entire country. Elections are happening every year, so there are always opportunities to get involved. Utilize tools to continue engagement year round such as Sister District, Emily’s List, and Swing Left that offer plenty of ways to be involved depending on your ability. For volunteer opportunities in New York, look into the Queer Detainee Empowerment Project and the Ali Forney Center which provide services for queer youth. If possible for you financially, donations to organizations doing important work are needed year round. The accessibility for QTPOC to basic services is low but there are incredible organizations doing great work in the various realms of services, including Rest for Resistance, National Queer and Trans Therapists of Color Network Fund, and others nationally with a list here. You can also support queer owned businesses in your neighborhood, such as the ones here if you’re located in New York. Sabrina Bleich is an amp Contributor. She graduated from Yale University in 2016 with a degree in History. Prior to working at the Marlene Meyerson JCC Manhattan as the Film Program Manager, she served as a researcher and translator for the Fortunoff Video Archive for Holocaust Testimonies. She has been involved in a queer, feminist comedy group and wellness collective as a producer and organizer.